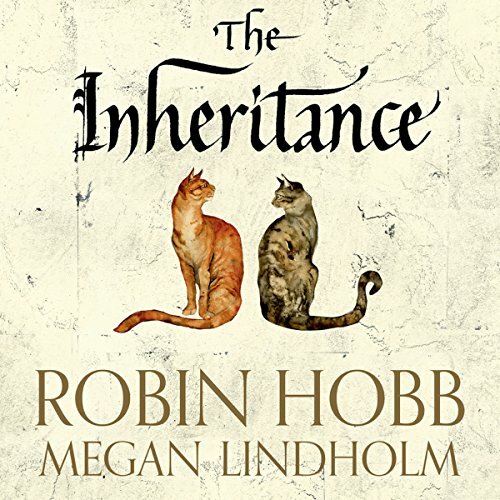 A collection of short stories from one of the most critically acclaimed authors in the fantasy genre, Robin Hobb. Including work written under her pseudonym, Megan Lindholm. Bingtown heiresses rub shoulders in this wonderful collection with vampires and alien musicians, tramps and feral cats. In "The Homecoming", Lady Carillion Carrock and a number of other Jamaillian nobles are sailing to the Cursed Shores. Their journey is not by choice: for plotting against the Satrap, their wealth has been confiscated and they have been exiled. Until now, Carillion has done nothing but lead a life of privilege. She believes they are bound for wondrous cities, cities where ancient kings and queens dusted their skin with gold and wore jewels above their eyes. But when she is marooned by the ship’s unscrupulous captain, she will soon discover the grim reality of what survival in the Rain Wilds entails. Its quite enjoyable just not what I was expecting. I just purchased on the title and thought it was the 3rd book in the series. I am enjoying it. Just word of warning, Don't be fooled by the title, its a series of short stories.... Which of course it does say quite clearly when you read the summary, which I didn't! First off, I have an issue with the title. Mainly as i purchased the book thinking solely it was indeed the third book of the Rain Wild Chronicles. Unless Robin Hobb draws somehow from the two or three stories held within that are set in the Rain Wild world for the next actual book then this book is irrelevant to the series. **WARNING** less than half this book is set in that world, and the stories are so detached from the series that they could equally as well be in a different world. The majority of the stories are great. Most (maybe all?) had a cat theme, which was more adorable than the man-hating commentary. The book is good, though be warned of the pretence of title and the continued portrayal of men as selfish and violent, excluding secondary characters; such as the nice fatherly figure. Some of the stories were good (rainwilds, inheritance), others were downright depressing to read due to the subjects (dead cats, dead kids, female circumcision). In general, I love Robin Hobb's stories but I was hoping that there would be more short stories revolving around the Rain Wilds, Elderlings, Farseers.... The stories were ok but it wasn't overly engaging. Saskia does a brilliant job though with the performance. This is not the Rain Wild Chronicles book 0, but a collection of short stories. All but one has nothing to do it. The stories weren't bad but I only really enjoyed the last two. Saskia Butler's performance was as always entertaining. I do wish Audible would be more careful about their labelling of book titles, I also read the St Mary's Chronicles and the same thing happened with that. It was advertised by Audible as book nine, when it is in fact a collection of short stories only one of which I hadn't heard before. Most annoying! Some cracking short stories in this book, some in the realm of the elderlings. All giving insight to Hobb's writing style. after reading all of Robin Hobbs books, I left this till last and I loved every story within and felt like I revisited a world I thought was all over. brilliant writing as per usual and I am sad I have no more of Hobbs stories to savour. love the stories,Love Robin Hobb. Shame about Saskia Butler reading it, She takes you out of story when she's trying to do other accents. Wish it was read by someone else. Not so much a review as a mild complaint - I wish short story collections would come with a list of contents that tells you where each story starts! I wanted to listen to the Elderlings series stories in particular, but it was impossible to find them easily. Lots of suprising stories with fantastical elements. Varies from funny stories to heartbreaking. Interesting history to the rain wilds. I really enjoyed this audio book. The stories are varied and all well written. This is perfect for people who do not have the time to listen to novels as you can listen to a story and then come back to the next one later. I really enjoyed this book. I was sad when it ended, I am looking for more. Really different, keeps you wondering, loved it. Can't praise it enough. I don't usually like short stories so it was a one off for me to see if I could enjoy them. well I did and problem is I want more. Well worth buying.